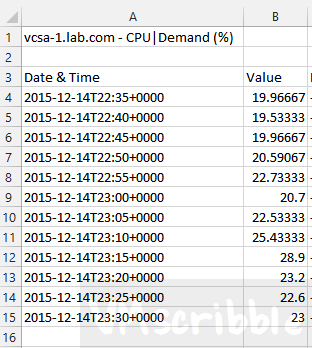 By default, the past host chart and csv file only show 12 data points. 60/12=5 Each plot is a roll-up of the past 5 mins. 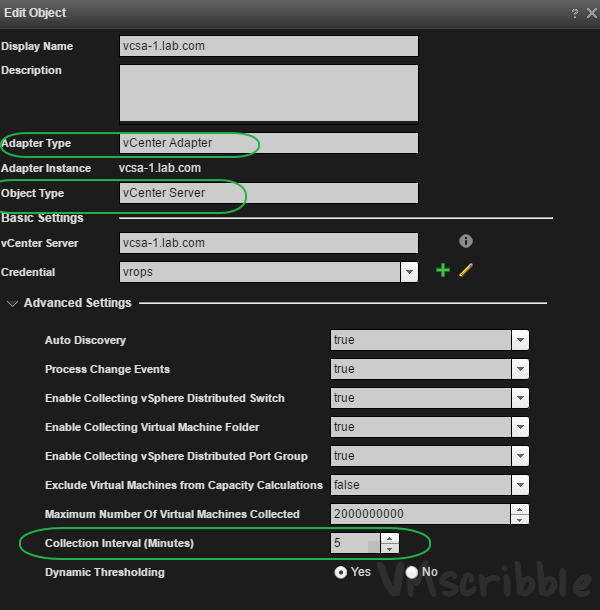 Click on the Admin icon / Inventory Explorer / Adapter Types / vCenter Adapters and search for the VM that your want to change the collection interval. By default the collection interval is blank. 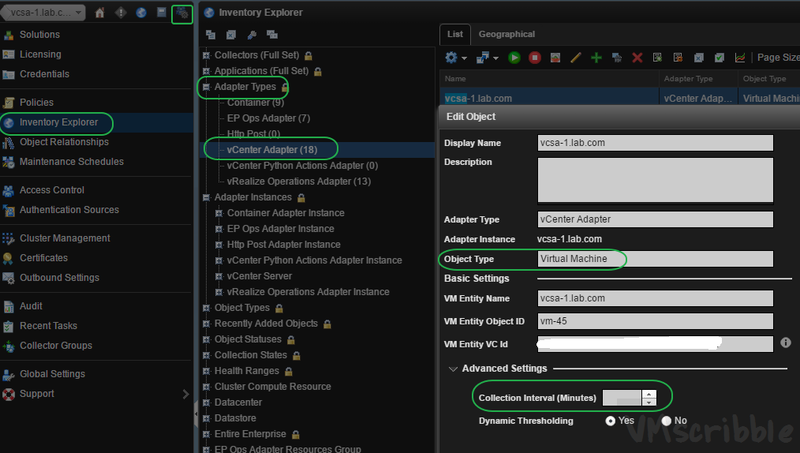 Find the vCenter Adapter for the vCenter Server Object Type. You will notice the default is 5 minutes. Plus, it will increase the load (disk IO + usage) on your vROps app and the Virtual Center. I waited 3 hours to draw the chart again and I did NOT see the 60 data points plotted. The object collection cycle can be GREATER THAN or EQUAL to the collection cycle of the vCenter adapter instance. 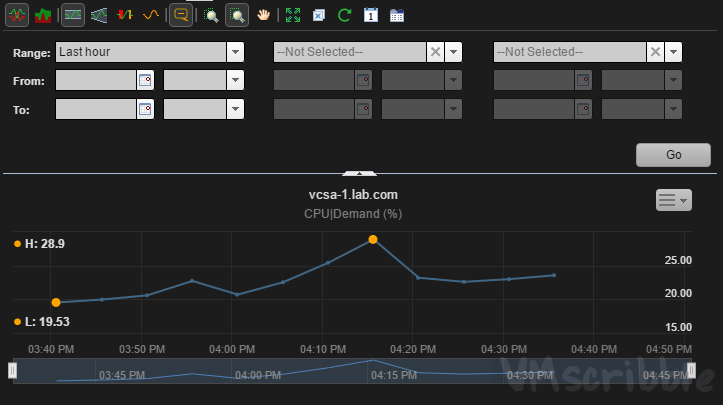 In my case, 1 minute for the VM is less than 5 minutes for the vCenter adapter.